Winter is just the right time for citrus fruits and there’s nothing like adding them into your salads. 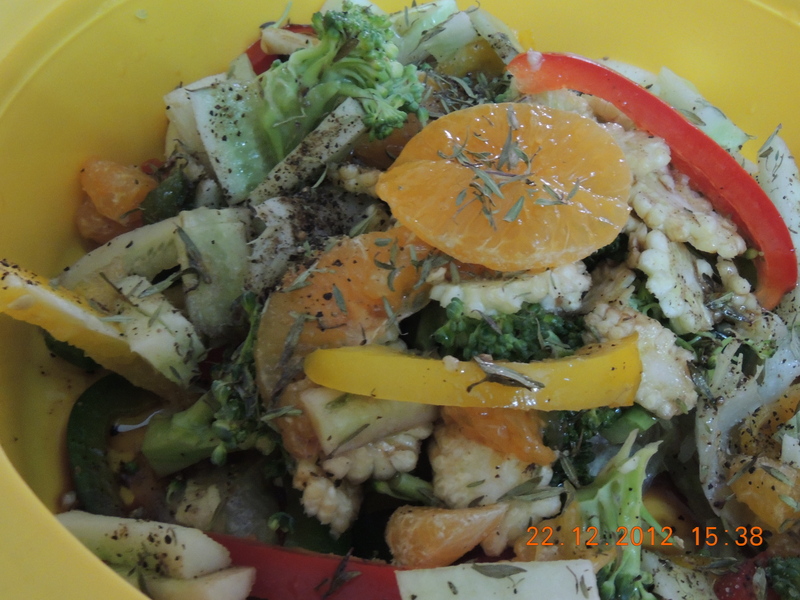 I am not that fond of salads, it’s a little difficult for me to eat the regular, tomato, capsicum, cucumber salad. Salads should be a little different and may be a little exotic :P. This is the first time I tried to make this interesting salad, with a dash of red wine that was lying at home. Combine all the above ingredients for the dressing, if extra it can be refrigerated and can be used later. Chop all the vegetables, add the orange. Mix all of it along with the dressing in a large bowl. Refrigerate it for a little while and serve.